• Exclusive splinter-proof and wood-free pencils. 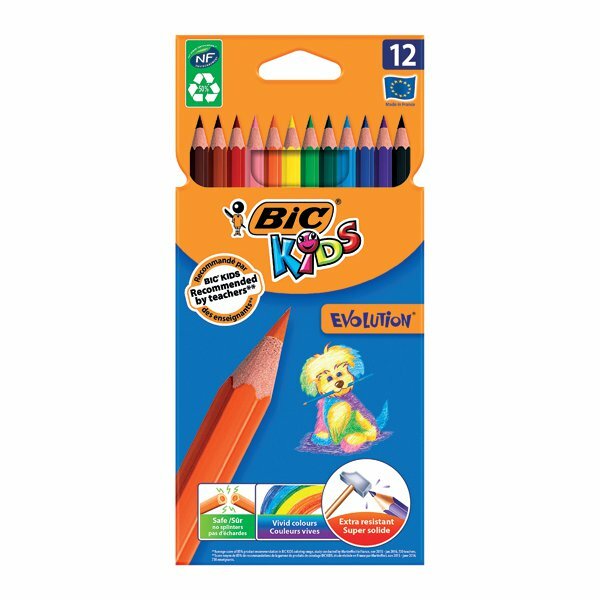 • Vivid colours with high quality, pigment-rich lead. • Lead is ultra resistant to shocks and provides great coverage. • Complies with European toy safety standards. 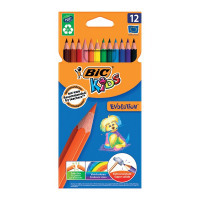 These Bic Kids Evolution Ecolutions Colouring Pencils are wood-free and chew resistant, with a durable, extra break resistant lead. Ideal for classroom use, the environmentally pencils are made from 50% recycled materials and are easy to sharpen for frequent use. This pack contains 12 pencils in assorted colours.